An apple for the teacher...and maybe a bottle of wine too! 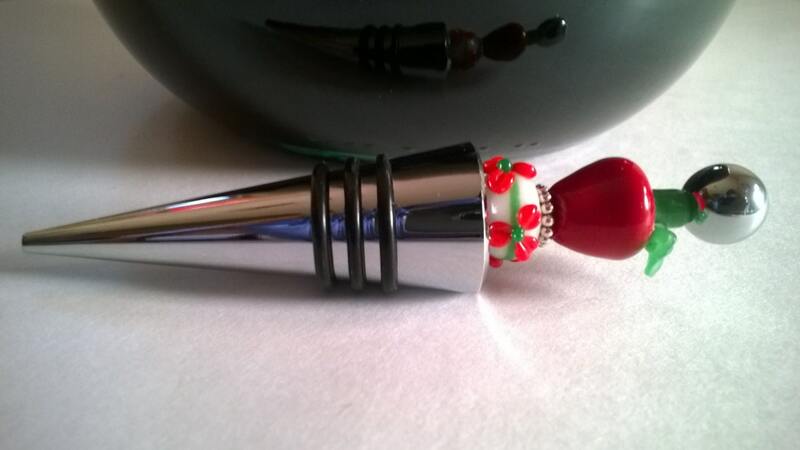 This red and green beaded wine stopper makes a wonderful gift for any teacher or apple lover! 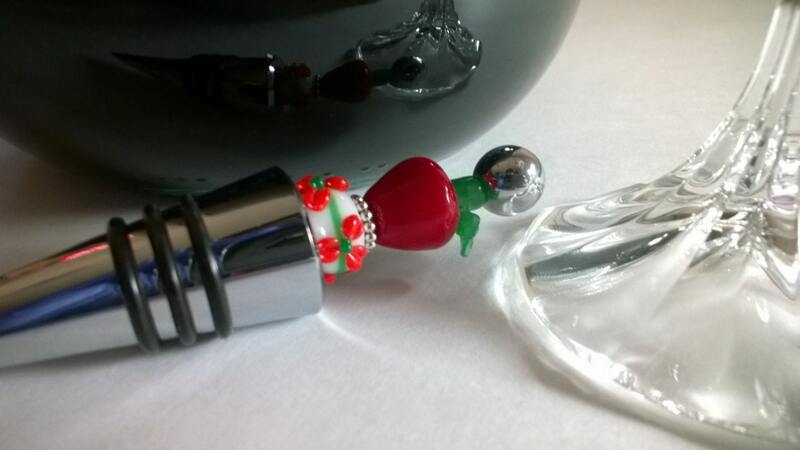 Lampworked glass apple measures approximately 20x17 mm.